A home inspection is an objective visual examination of a home’s structure, systems, and mechanical systems. Think of it as a full physical check up but only for a house. The home inspector is required to observe readily accessible and visible installed systems which include: structural components, exterior roofing, plumbing, electrical, heating, central air conditioning, interiors, built in kitchen appliances, insulation, and ventilation. We operate the mechanical systems using normal operating controls except when conditions may cause equipment damage. 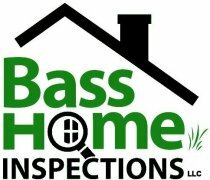 The minimum standards for home inspectors in North Carolina are established by the NC Licensed Home Inspection Board and can be reviewed at www.nchilb.com. As a general rule, 2-4 hours depending on the size of the home and its age. This is the question that everyone wants to know. As a general rule, my minimum is $250, and can go above $400 for larger homes. Radon and water testing costs extra. Are inspectors required to be licensed? Yes, all home inspectors in North Carolina are required to be licensed by the NC Licensed Home Inspection Board. Requirements for being a licensed home inspector can be found at www.nchilb.com. No, a home inspection is objective visual inspection of the home systems and components. We are not municipal inspectors inspecting for building permits. Should I be present for a home inspection? I realize that some people who live out of town cannot always be present for a home inspection. However, it is a good idea to be present for the home inspection even if just for the last part of it. That way I can spend time with you and show you how my report reads, point out any problem areas, and show you the cutoffs for water and power. During the inspection, I often offer tips on maintenance and upkeep. This is also a good time for you to ask questions. Is a contract required for a home Inspection? Yes, all licensed NC home inspectors are required to provide a written contract that shall describe the services performed, standards of practice, limitations, and the cost of services. The contract is required to be signed before the home inspection is performed. When should I call for a Home Inspection? Normally, it is a good idea to call in an inspector after you have made an offer to purchase the property and before closing. Many “offer to purchase” contracts include an “inspection clause” in the contract, making your purchase contingent upon the findings of a professional inspection. This inspection clause often specifies the timetable when the inspection must be completed.